Four new garden displays and five new walkways have been designed to spark the imagination of customers and showcase how the wide range of landscaping products available at Elliotts could be used. The displays cover an area of 123m² and were opened at a special event in time for the May Day bank holiday, when many customers were thinking about gardening. From the ornamental to all the practical necessities, a local landscape designer has designed each garden to demonstrate products from a variety of brands and suppliers, including Global Stone, artificial grass from Namgrass, Tobermore, Grange, Softwood decking, Brett, Wienerberger, Ibstock and Brett. 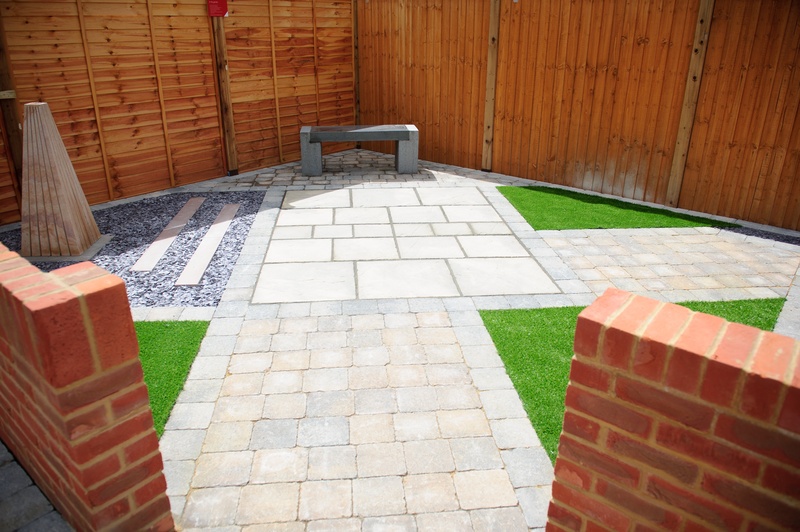 Whether customers are looking for a complete garden overhaul or just finishing touches to compliment a new build, the expert staff at Elliotts can guide them through the entire process, from design to delivery to site. Darren MacAskill, branch manager of Elliotts Tadley, said: "Our landscape displays help our customers visualise how a product can be used. We showcase different designs to inspire and encourage customers to try new products or use them in a different way." Elliotts has landscaping displays at five branches: Totton, Fareham, Ringwood, Romsey and now Tadley, with a new display coming to Christchurch shortly. Elliotts customers can also find inspiration on the builders merchant's new website under the 'What We Know' section, which offers advice and up to date information on innovative and exciting products.